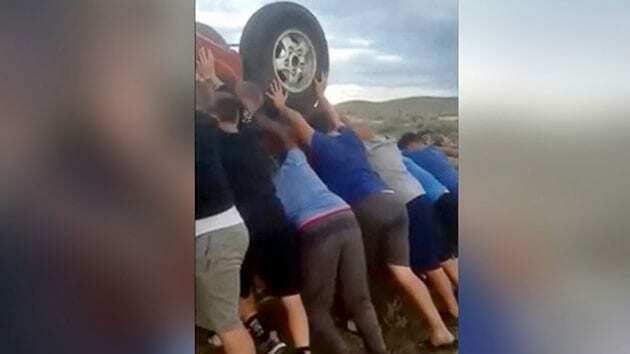 Last May, a youth football team from Boise, Idaho became heroes when they worked together to rescue passengers trapped in an overturned vehicle. 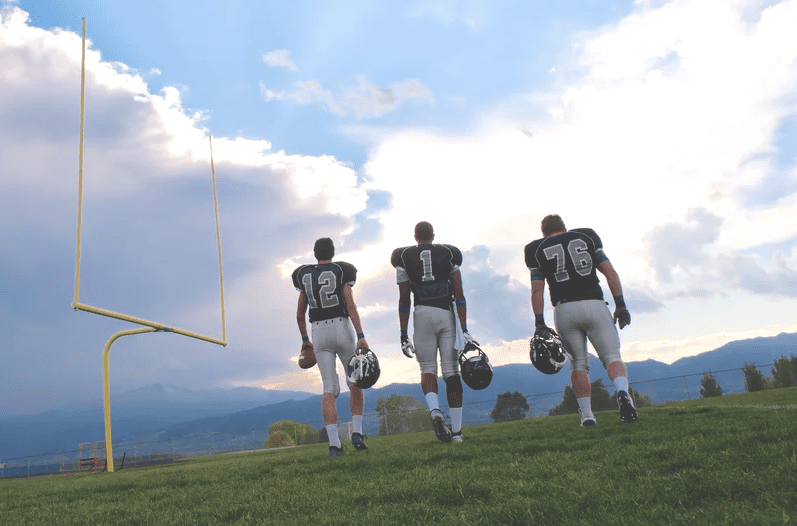 The Boise Black Knights, a football team consisting of kids between 12 and 14 years old, were on their way home from a tournament in New Mexico when their school’s van came across an overturned car on the side of an Oregon highway. “We were all driving, they came around the corner and seen an accident with a car rolled over, and the two vans pulled over,” said Rudy Jackson, the team’s coach. The driver pulled over upon seeing the accident, and the boys jumped into action without hesitation. 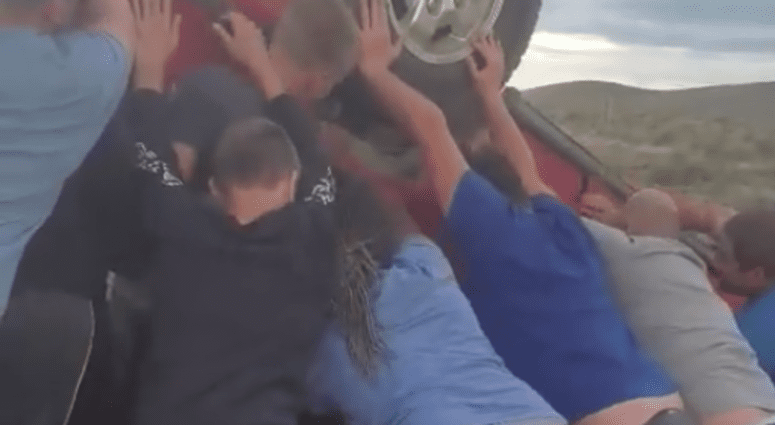 The boys demonstrated true teamwork in their efforts to save the male driver and female passenger who were trapped inside the upside-down vehicle. 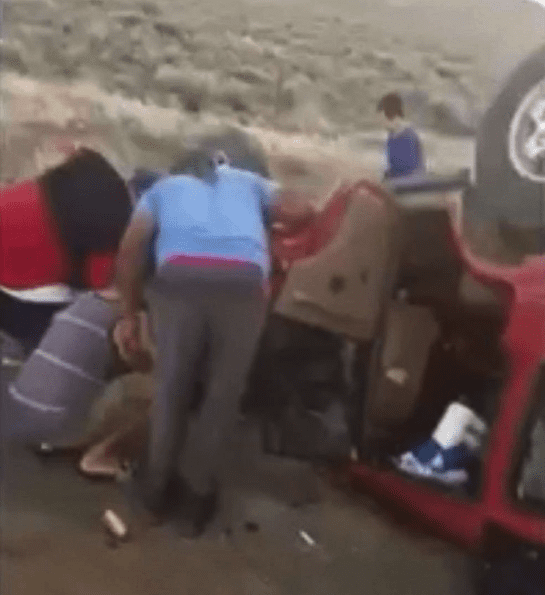 According to the Malheur County Sheriff’s office, an officer wasn’t able to arrive at the site of the crash until an hour after the first call as a result of vehicle problems.